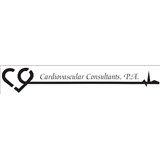 Cardiovascular Consultants PA (Tamarac) - Book Appointment Online! Our goal and mission is to provide the highest quality of comprehensive cardiac care in a pleasant and friendly environment. We thrive to always protect the interests of our patients and improve their health.